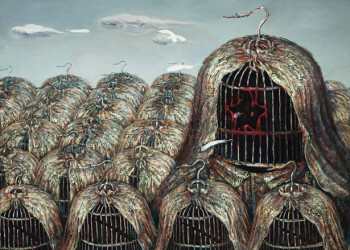 Huibin Wang, nickname “Beard”, is recognized as the paranoid ‘cage king’. 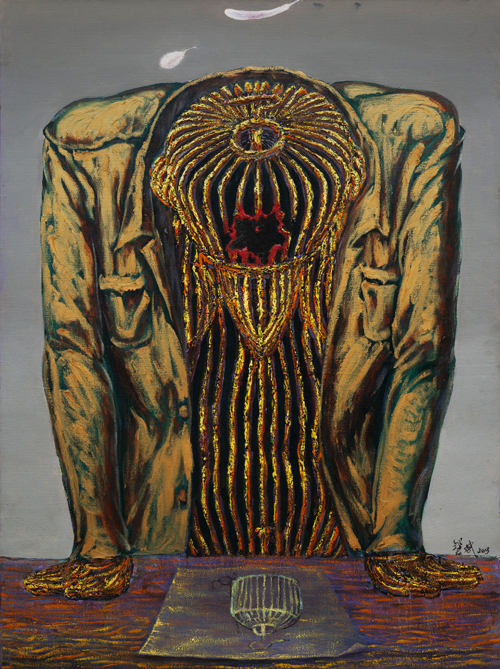 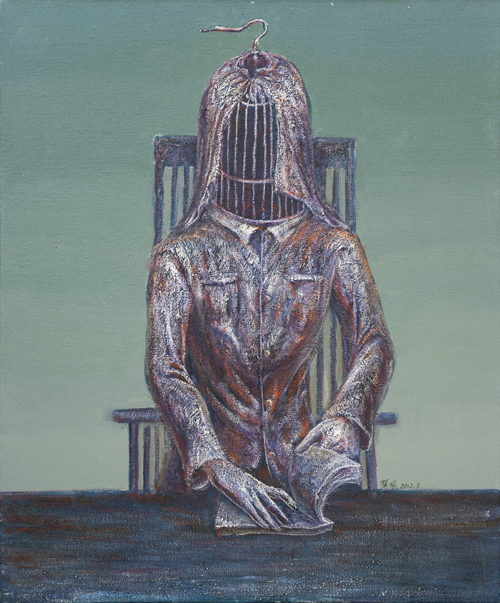 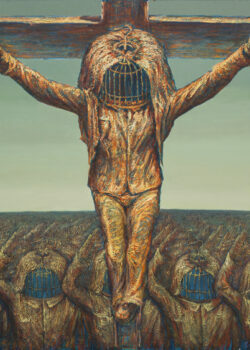 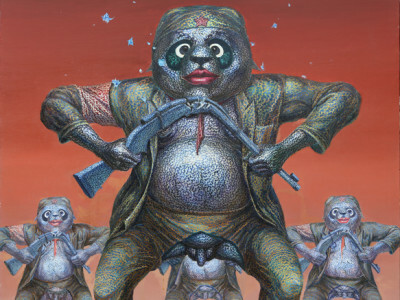 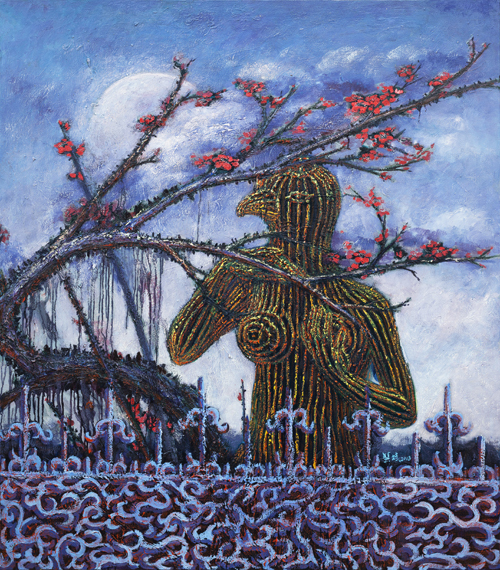 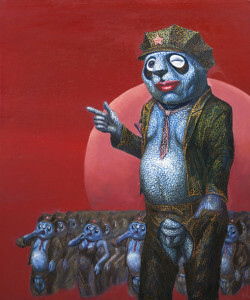 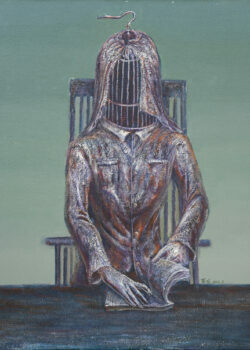 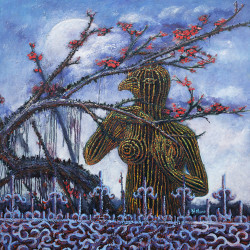 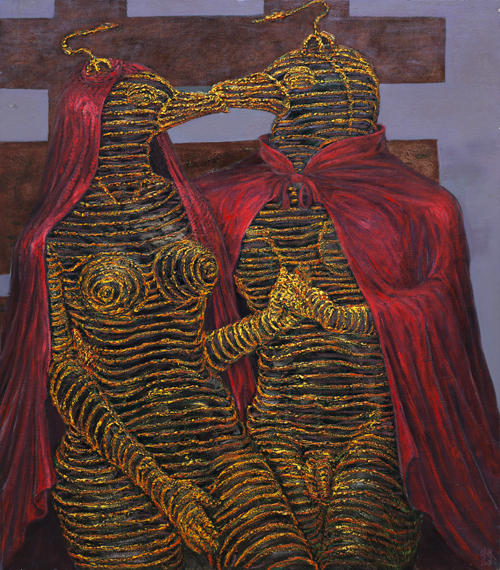 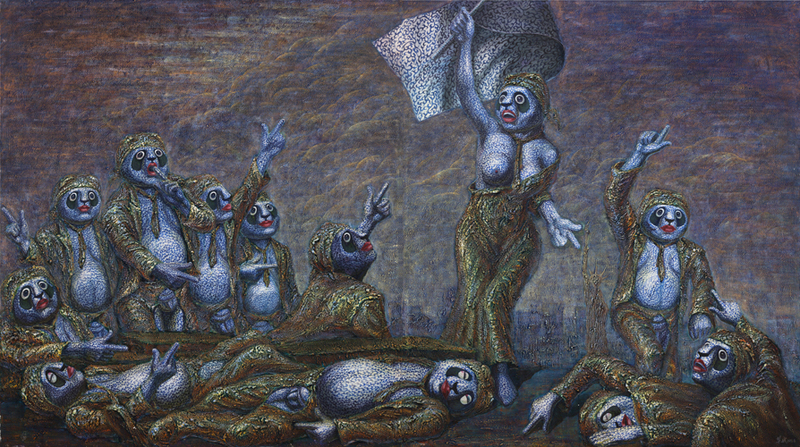 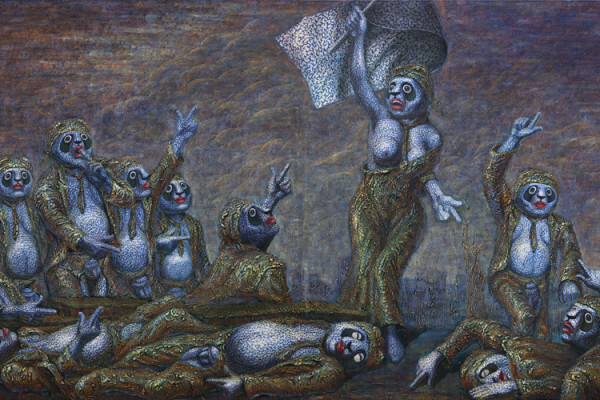 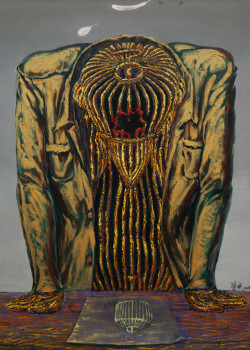 His work stands out for its bold cages, dignified figures and intense political metaphor. 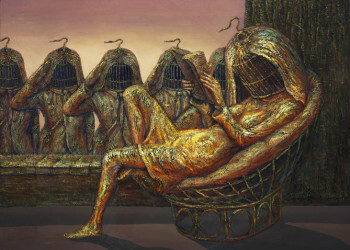 The figures , bronze sculpture like, exude a feint metallic light, creating an atmosphere reminiscent of religious ritual. 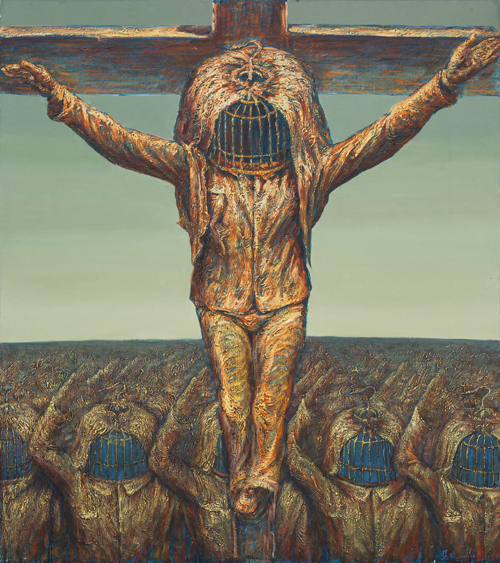 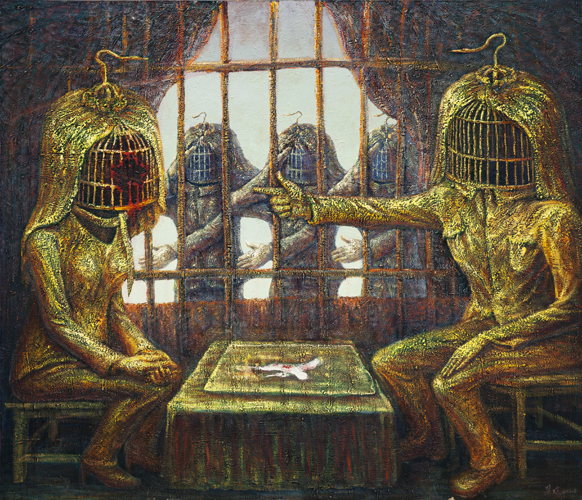 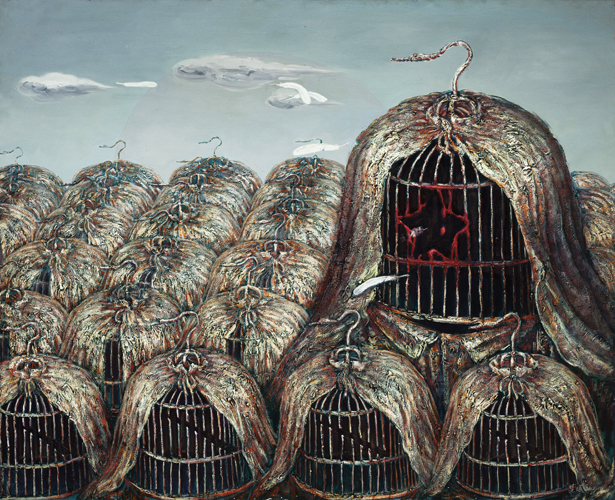 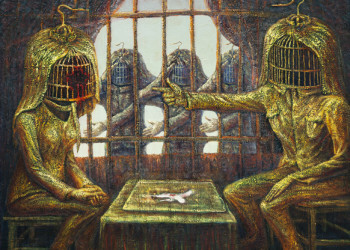 Wanghui Bin’s paintings use cages as a metaphors to question universal values and deepen the understanding of social freedom. 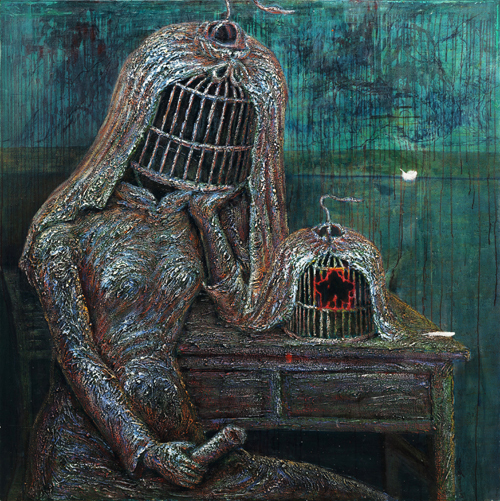 The artist’s urge to communicate the message to his audiences is like unquenchable, anxious notes wanting to break free from the metal cage. 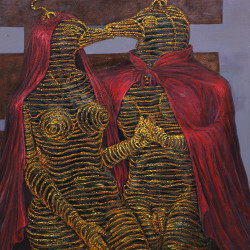 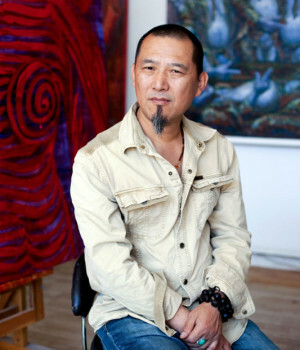 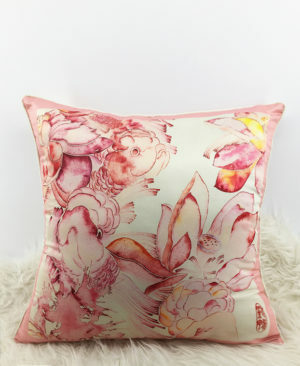 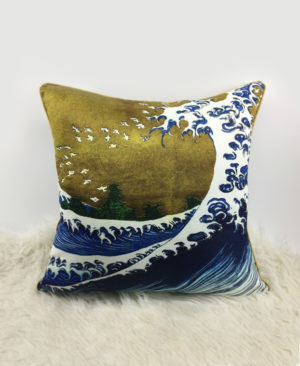 The artist uses rough brush strokes to challenge the Chinese public’s conventional aesthetic tastes. 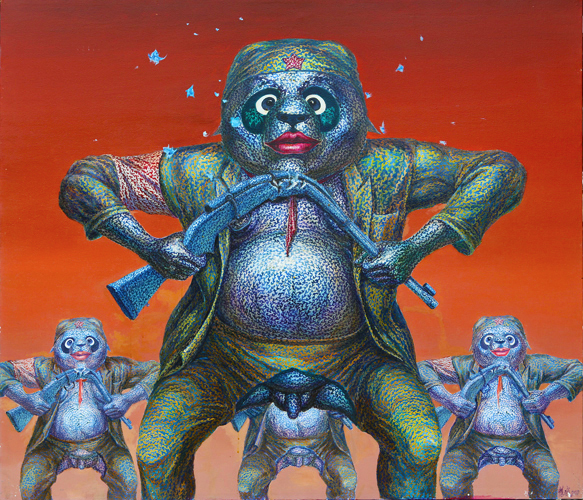 The art works examine today’s Chinese society, long repressed pain, fast economic growth and existential crisis.